We asked for Santa's help to find you the best Christmas Presents in Australia from Everything But Flowers. We hope you love our beautiful range of Christmas gifts as much as we do. You'll find our favourites for men, women, kids & teens. Christmas may just be our favourite time of year at Everything but Flowers. Such a beautiful time to spread love and cheer, full of smiles and joy. 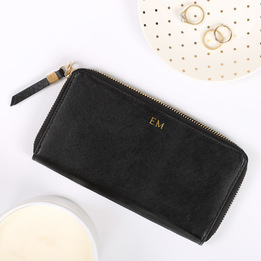 We’ve found some hilarious novelty Kris Kringle gift ideas, beautiful women’s Christmas gifts and stylish men’s Christmas gifts as well as cute Christmas presents for kids; we love to make sure we have everything and everyone covered. The Best 2018 Christmas Present Ideas from Everything but Flowers! The holiday season is one of our favourite times of the year, since we can help our customers with an overview containing our best Christmas present ideas. For those of your who find themselves struggling to find the right presents during the holiday season, there is finally a solution thanks to our overview of Christmas present ideas. Below, we have compiled a list with our best Christmas present ideas for a range of recipients. Check out our recommended Christmas present ideas this year and provide your recipient with the ultimate surprise! What Are Good Christmas Presents for Mum This Year? Everything but Flowers has quite the collection of Christmas presents for mum. Of course, since personal preferences can vary, it is important to incorporate some of your mum’s preferences into your gift choice. There are some Christmas presents for mum that are relatively safe, meaning they can be used for most mums. One such an option from our Christmas presents for mum collection is the MOR Love Gift Set in Marshmallow. The MOR Love Gift Set from the Christmas presents for mum collection includes MOR Marshmallow soap and hand cream, but it also includes the popular MOR Marshmallow parfum. It is one of the safest choices for the holiday season, since this cosmetics line from MOR Cosmetics is one of the most popular in the country. What Are Good Christmas Presents for Dad This Year? There are some stunning Christmas presents for dad at Everything but Flowers this year too! From exquisite whiskies to novelty books, our collection of Christmas presents for dad provides you with many options. 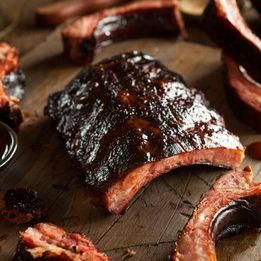 Since many dads love barbecues, one of our favourite options from the Christmas presents for dad range is the Random Harvest BBQ Indulgence Set. 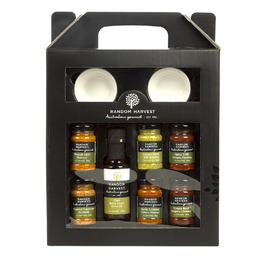 Inside this gift set from our Christmas presents for dad collection, your dad can find an incredible selection of condiments and sauces for his favourite barbecue meats. 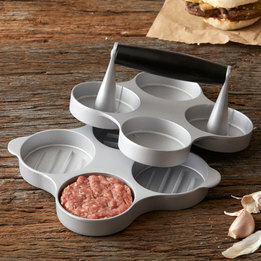 So, with this gift set, he is bound to enjoy his Christmas-themed barbecue a whole lot more. What Are Good Christmas Presents for Kids This Year? Customers can count on Everything but Flowers for a nice selection of Christmas presents for kids too. We have suitable Christmas presents for kids of all ages; this includes newborns, toddlers, children, and teens. So, no matter the age range you need Christmas presents for kids for, Everything but Flowers has you covered. One of the bestsellers in our Christmas presents for kids collection is the Dinosaur Escape Cooperation Game. As the name suggests, this themed game is not focussed on beating each other to win. Instead, kids must work together to save the Dinosaurs and win the game. There are other cooperation games in our Christmas presents for kids collection too. So, if you want to add a couple more games for the holidays, you know where to go! What Are Good Christmas Presents for Boyfriends? Boyfriends can be tricky to buy for, but you can count on Everything but Flowers and an entire collection of Christmas presents for boyfriends. In our collection of Christmas presents for boyfriends, customers can find fun gadgets, barware, and even adventurous experiences he might appreciate. If your boyfriend is the adventurous type, he might like one of the adventurous experiences from our Christmas presents for boyfriends collection. One of our personal favourites is the Best of Sydney Sidecar Tour for 2 in Sydney. This experience from our Christmas presents for boyfriends range can be enjoyed together. Plus, it is not too intense yet still adventurous. What Are Good Christmas Present for Men? There are some astonishing options in our Christmas presents for men collection this year. We have personalised leather gifts, barbecue gadgets, and even extraordinary beer presents that will leave men wanting more. 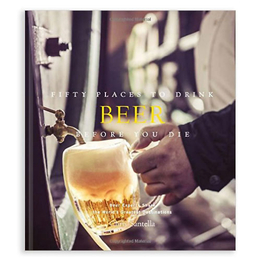 Customers who need a present for a true beer fanatic could consider Fifty Places to Drink Beer Before You Die, a book from our Christmas presents for men collection. In this book from the Christmas presents for men collection, he will find fifty extraordinary places to taste beer around the world! Of course, our range of Christmas presents for men also includes a lot of beer hampers and gift baskets. We even have beer tasting experiences available during the holiday season! So, if your recipient could appreciate a good selection of beers during the festive season, why not check out those additional options from our Christmas presents for men collection too? What Are Good Christmas Presents for Women? Need a present for a female relative or friend? If so, you can count on our collection of Christmas presents for women, packed with amazing options such as books, homewares, kitchenware, gift sets and experiences. Our range of Christmas presents for women is quite elegant this year, so you will find a number of luxurious options female recipients will appreciate. One of these options from our Christmas presents for women collection is Australia’s Finest Sparkling in Custom Cooler Bag. When you do not know what to get someone during the holiday season, a good sparkling wine from our Christmas presents for women collection is always appreciated. You can toast the festive season together, or your recipient can enjoy a little relaxation after the festivities with it. Endless possibilities! What Are Good Christmas Presents for Girls? Buying Christmas presents for girls can be challenging, but Everything but Flowers has you covered with its collection of gift sets and activities. Our Christmas presents for girls collection includes suitable presents for all age ranges. As mentioned a little earlier, our range of Christmas presents for girls is packed with cooperation games, so we decided to suggest another one for the holiday season. One additional option is Mermaid Island from our Christmas presents for girls collection. Mermaid Island is another themed game from our Christmas presents for girls collection, where girls must work together to win the game. Of course, you could also consider other options such as Royal Bingo or one of the interactive gift sets in the Christmas presents for girls collection. What Are Good Christmas Presents for Boys? In addition to cooperation games, our Christmas presents for boys collection also includes some fun items that can be used in the child’s bedroom. All these items are incredibly functional too and our Christmas presents for boys collection includes options for all age ranges too. One of our favourites from the Christmas presents for boys collection is the T-Rex Projector Dino Egg. While this may look like a simple decorative item for a child’s bedroom at first, there is more to this present than meets the eye. In fact, the T-Rex Projector Dino Egg can project the image of a T-Rex in your child’s bedroom. It is also quite the functional night light for children who are still afraid of the dark. If your child is quite the fan of dinosaurs, our range of Christmas presents for boys contains more options he will love. Our Christmas presents for boys range includes dinosaur books, games, puzzles, and more decorative items for the bedroom. What Are Good Christmas Presents for Him? Buying for a male relative or friend? Check out our range of Christmas presents for him, packed with original choices involving beer, barbecue, personalised presents, books, and experiences! When you need to stay on a budget during the holiday season, you can certainly find something suitable in our Christmas presents for him collection. One of the options is the iPad iBed, which is affordable and functional at the same time! The iPad iBed from our Christmas presents for him collection enables your recipient to use his iPad or tablet a little easier. It can be placed on the lap, keeping the laptop in an upright position for maximum enjoyment. 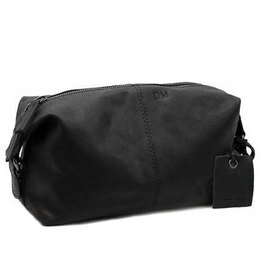 There are more fun gadgets in our Christmas presents for him collection, simply look at options such as the Extra Large Bedside Pocket, the Men’s Personalised ‘Oxford’ Leather Wash Bag and other fun options! What Are Good Christmas Presents for Girlfriends? Everything but Flowers also has a range of Christmas presents for girlfriends, which you can call upon if you are struggling to find the right present. Inside our Christmas presents for girlfriends collection, customers can find jewellery, watches, handbags, cosmetics, and loads more. One of our personal favourites from the Christmas presents for girlfriends this year is the Osbourne Candle Holder Set. There is nothing more romantic than a well-placed selection of candles accompanied by a good dinner. So, why not combine both this holiday season with the Osbourne Candle Holder Set from our Christmas presents for girlfriends collection, making your romantic décor even more stunning. Where Can I Get More Inspirational Christmas Presents for Christmas 2018? Need more inspiration from our extensive collection? Head over to the Christmas range to uncover more suitable presents for mums, dads, women, men, and kids! Whether you are buying for a family member or a friend, Everything but Flowers always has the right present options for the festive season. What Are the Best Personalised Gift Ideas? Everything but Flowers has a collection of Australian Christmas gift ideas for both men and women. Customers who need the best Australian Christmas gift ideas can therefore count on the Everything but Flowers catalogue. Our collection of Australian personalised gifts for him is a sight to behold! The Australian personalised gifts for him are not only thoughtful and sentimental, they can also be remarkably comfortable. In our range of Australian personalised gifts for him, customers can find customised items such as the Men’s Personalised Leather Photo Keyring, A5 Leather Folio Case, and the Leather ‘North South’ Messenger Bag. These are Australian personalised gifts for him he can use on a daily basis. Everything but Flowers also offers some home and office decorations in its Australian personalised gifts for him catalogue. 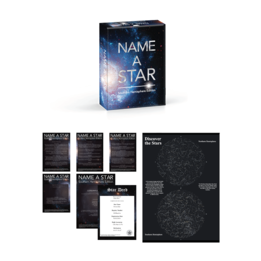 In the Australian personalised gifts for him catalogue, customers can find unique gifts such as customised framed prints, which will look beautiful in his office, lounge, or the living room. The personalised gifts available at Everything but Flowers also make great Christmas presents for dad from daughter. Christmas presents for dad from daughter need to be thoughtful as well as meaningful, so getting one of our customisable Christmas presents for dad from daughter certainly enable you to meet those criteria. In addition to our range of customisable Christmas presents for dad from daughter, customers can find other Christmas presents for dad from daughter too. We have experiences, books, decorations, and even homewares to surprise him with this holiday season; this means customers can keep their options open if they want something to match their dad to a tee! Naturally, sons could be looking for Christmas presents for dad too. Customisable options from the Christmas presents for dad collection could be the best option, but there are other Christmas presents for dad sons can consider. The Christmas presents for dad catalogue includes some good Christmas presents dad will treasure. You could choose one of our hampers from the Christmas presents for dad collection, which contain items such as whiskey, port, or even a stunning selection of Shiraz. Alternatively, you can choose an experience from the Christmas presents for dad catalogue, enabling you and your dad to have a fun day out together. Of course, Everything but Flowers also provides good Christmas presents for her, many of which can be personalised. The items in our good Christmas presents range include clutches, wash bags, business card holders, and much more. So, if you need some good Christmas presents for a female relative or friend, be sure to check the customisable Christmas presents at Everything but Flowers too. Some personalised can be perfect for mum, so customers can find many Christmas presents for mum in the personalised section. 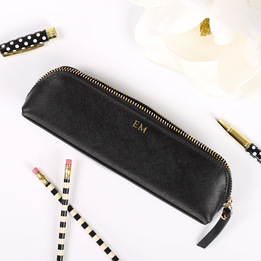 These personalised products in the Christmas presents for mum range are your first reference, but we also have other Christmas presents for mum you should look at. From cosmetics to designer bags and jewellery, you can find it all in our Christmas presents for mum catalogue. What Are Great Secret Santa Present Ideas? At Everything but Flowers, customers can get some inspirational Christmas presents; this includes Secret Santa gift ideas for co-workers. Our Secret Santa gift ideas for co-workers are quite diverse too, so customers will have no problems finding something original for their recipient. 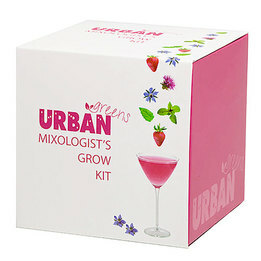 In our range of Secret Santa gift ideas for co-workers, customers can find unique wines, barbecue tools, books, experiences and much more. Thanks to this large diversity of Secret Santa gift ideas for co-workers, we are able to provide the best range of Secret Santa gift ideas for co-workers in Australia! Of course, customers can count on Everything but Flowers for Christmas present ideas other than Secret Santa. There are loads of Christmas presents to buy in the holiday season; this includes suitable Christmas presents for mum, Christmas presents for dad, and good Christmas presents for kids. One of the most original options in our range of Christmas present ideas are our Experiences. The Experiences in our Christmas present ideas range provide your recipient with a lovely day or weekend away, doing something they love. When you choose one of our Christmas present ideas from the Experiences catalogue, you can count on adventurous experiences, gourmet dinners, spa days, and anything else you can think of. So, if you need original Christmas present ideas, the experiences range will certainly have what you need. What Are Some Great Stocking Filler Ideas for This Christmas? Everything but Flowers provides some outstanding stocking filler ideas for her, him, and even kids. The collection provides the most original options in Australia as well as some of the most affordable. So, if you find yourself on a budget, get your presents for Christmas from Everything but Flowers. There are some popular stocking filler ideas for her customers should consider this year. We have a range of affordable pocket books and journals, which she is bound to find some use for. 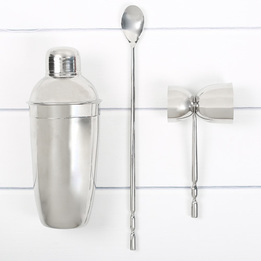 Our collection of stocking filler ideas for her also includes cups, trinkets, and other smaller items, making your collection of presents for Christmas complete. Naturally, the collection of stocking filler ideas for her is beautifully complemented by Australian Christmas gift ideas for men too. So, once you are finished browsing the stocking filler ideas for her collection, be sure to check out the Australian Christmas gift ideas for men too. 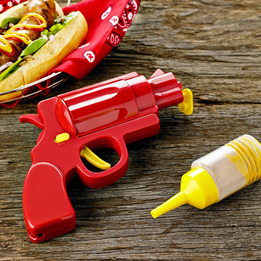 The Australian Christmas gift ideas range for men includes barbecue tools, gadgets, and games. We even have a collection of compact books that make good stocking fillers during the holiday season. Customers who need presents for Christmas to pamper their kids can also find what they need at Everything but Flowers. Our presents for Christmas range includes board games, interactive sets, books, and plush toys. We even have some handmade presents for Christmas that will be treasured forever. Kids will love the presents for Christmas we have to offer, so by shopping at Everything but Flowers, you are making the right choice.